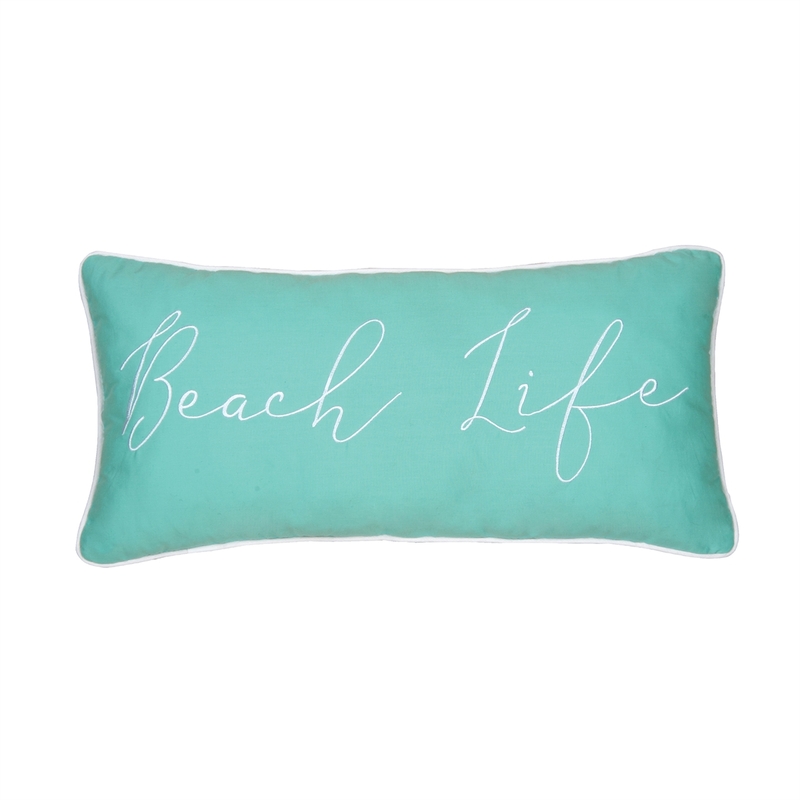 The Beach Life Embroidered Pillow reads Beach Life embroidered in white on a seafoam pillow. White binding trim at edges. 12"W x 24"L. Manufacturer's UPC code is 008246506836.